Warren Players moved into the former St. Paul's Evangelical Lutheran Church building at Water and Second Streets in the early 1970s. 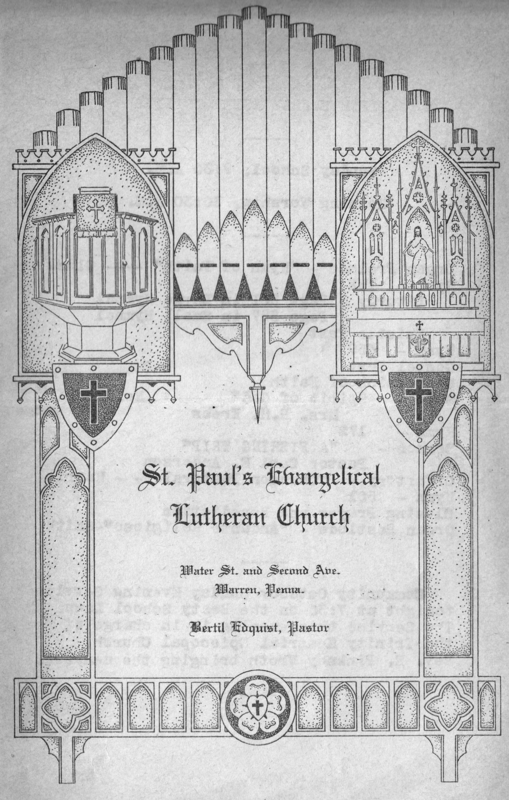 This is a church bulletin from the time when our former Water Street location was still a church. St. Paul's is now located on Conewango Avenue.